Dan had a long week at work last week. Like, coming home at 1am long. 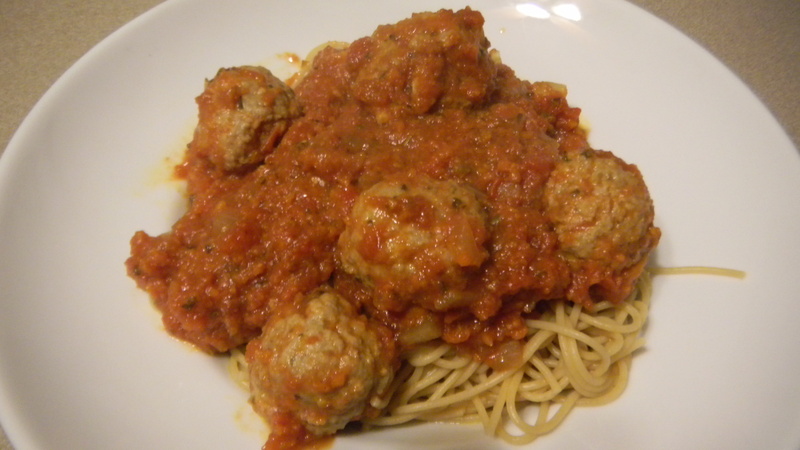 I was off on Friday, so I thought I’d cheer him up with his self-proclaimed favorite meal – spaghetti and meatballs. I stuck with my tried and true modified marinara sauce based on this recipe from Giada, with just a few tweaks. It was kind of rainy outside, so I decided the meatballs would be turkey since that’s what I already had in my freezer. I followed this Skinnytaste recipe mostly, but I used less cheese and added a bunch more italian spices – rosemary, basil, oregano, and parsley. When making sure the meatballs were cooked, I balked a bit at the suggestion of letting the meatballs cook in the sauce for only 20 minutes. I let mine sit in there for closer to 35 minutes, and I definitely think it added some good flavor to both the meatballs and the sauce. It was a great Friday meal to end a busy week and start a relaxing weekend. Leftovers were pretty delicious too. 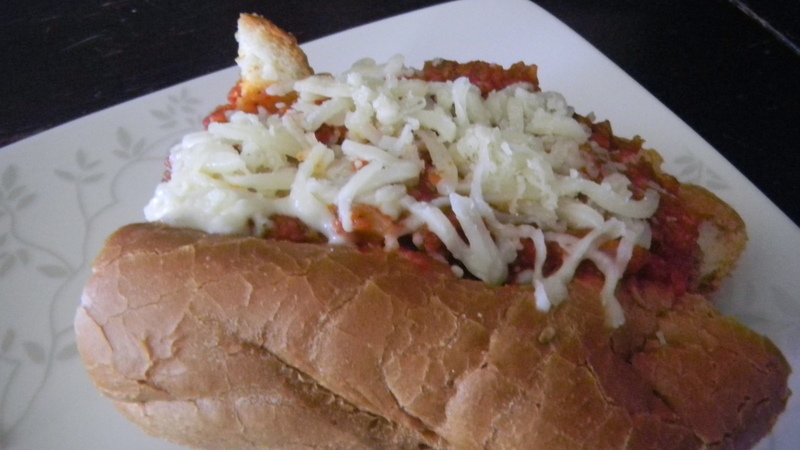 We made some meatball subs while enjoying some football on Sunday. 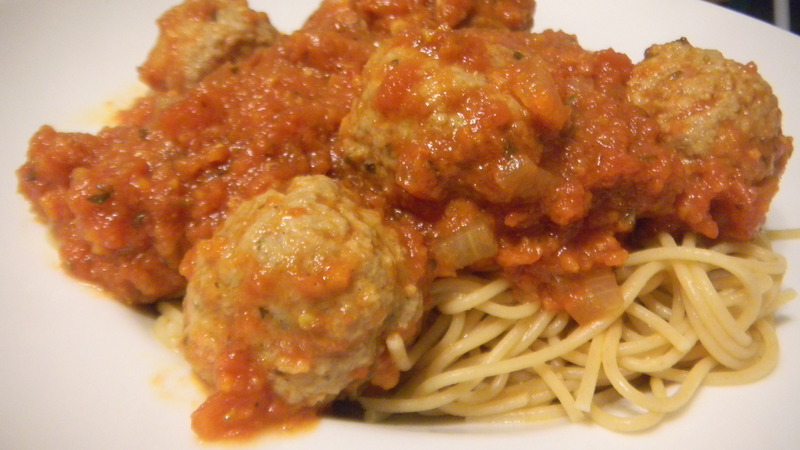 We still have quite a bit of spaghetti and meatballs left that we better eat soon. We definitely got our money’s worth out of this meal.